UNITED NATIONS, March 3 -- Faced with the direct question of whether the UN continues to receive computer services from the scandal-plagued firm Satyam, through the UN-affiliated International Computing Center, UN Associate Spokesperson Farhan Haq on Tuesday told Inner City Press to "ask Satyam." Since the UN, and Mr. Haq, are funded by taxpayers, and had just purported to issue a blanket denial of continuing services from Satyam, Inner City Press asked if that belated denial included any services through the ICC, which has employees who work in the UN Headquarters building. Of one ICC employee who went out a high-floor window of the UN to her death a year ago, Mr. Haq said, "It was a grim morning for me. Her family was disturbed [about Press coverage], I heard from Security." At that time, the UN Spokesperson's Office told Inner City Press that the ICC was affiliated with the UN, but not a part of the UN Secretariat. Does your denial cover services received from Satyam through the ICC, Inner City Press asked. "That is meant to be a systemwide answer," Haq said. But did you ask the ICC? No, he answered. He went on to defend the UN system's belated and halting disbarment of Satyam, disagreeing that the UN-affiliated World Bank didn't tell the rest of the system, saying rather that the World Bank delayed due to "due process." It should be noted that the UN continued contracting from ostensibly disbarred aviation and construction firms, like Corimec. Previously, Inner City Press had posed the question in writing to Angela Kane, the head of the UN's Department of Management, which oversees procurement. Ms. Kane wrote back, on this, to ask the "at the noon briefing... I just cannot respond to individual queries in view of the heavy demands on my time." Inner City Press then posed the question, about Satyam services to the UN through the International Computing Center, to the acting head of the Spokesperson's Office, Marie Okabe. 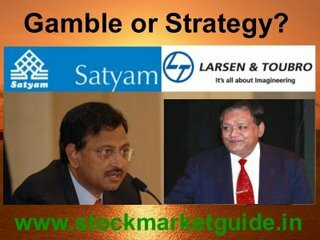 UN's evasions on Satyam: gamble or strategy? Regarding allegations on corruption in Cambodia, this continues to be a topic we are pursuing with the Cambodian Government. We continued our high-level discussions with the Cambodian Government on 23 February on all issues related to the ECCC; Assistant Secretary-General for Legal Affairs Peter Taksoe-Jensen represented the United Nations. The discussions also focused on the work of the Joint Sessions, which are working to establish a mechanism to address the allegations of corruption. Regarding the reported request from Bangladesh -- The United Nations has received a request, conveyed to our Resident Coordinator in Bangladesh, for assistance regarding investigations into the mutiny last week. That request is being studied. We were informed by our Procurement Division that Satyam was suspended in January. As per Procurement Division practice, a communication has been sent to the UN procurement system (including peacekeeping missions) and the procurement extranet site is now updated. But the question to the UN was and is, "Does the International Computing Centre, for any of its work for the UN Secretariat, use services from Satyam?" Inner City Press, in forwarding the question to Deputy Spokesperson Marie Okabe after Angela Kane declined to answer it, added, "Marie, please consider the question whether Satyam does business with or for the UN system through the International Computing Center a question for the Secretariat's Spokesperson's Office, even for ICT/Mr. Choi." There followed a response from Farhan Haq that did not even mention the International Computing Center, before which he did not ask or even seek to ask the ICC for any response. The goal seems to be to make the question go away by answering other questions, and to dredge up an incident in which the UN tried to dictate how the press covers death -- the New York Times, it should be noted, has displayed freshly killed people face-up on its front page, with nary a peep from the UN, which went into a frenzy when a New York Times columnist said the UN pulled security from its sometime-envoy George Clooney -- in an attempt to discourage or evade basic factual question about the UN doing what it say. We will have more on this. 1) He regrets the advance payments made by UNIC Tokyo in violation of UN financial rules. 3) He also expressed regret concerning the 5 million yen time deposit kept at UNIC Tokyo, and said this was conveyed to the UN. We'll have more on this, as well.